Last year, the Coolest Cooler became the most successful Kickstarter crowdfunded campaign, raising more than $13 million, surpassing other impressive products such as an innovative smart watch and a massively popular video game console. The wild success of the campaign did not go unnoticed by media, bloggers and tech junkies everywhere. It was also noticed by Mike D’Agostini and Christopher Engelo, two ambitious entrepreneurs with years of hands-on and do-it-yourself (DIY)experience in everything from construction to computer repair (not to mention facial hair grooming). Because they were regularly working on new and ongoing jobs and projects, their homes and garages were filled with countless tools and gadgets. 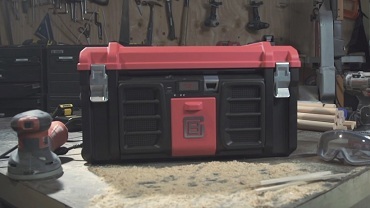 The two founders combined their talents and designed a prototype tool box called the “Cool Box” that integrated a mountain of awesome features. A crowdfunding campaign on Indiegogo was recently launched for the project, and it crushed its $50,000 fundraising goal in the first 36 hours. The journey was definitely not easy, and the success of their crowdfunding campaign goes beyond riding the curtails of the Coolest Cooler success. The DIY founders shared a few valuable lessons they learned along the way. Turn over development decisions to your customers. 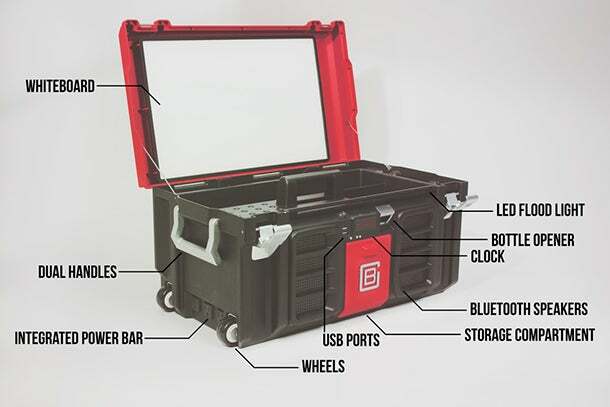 The idea for the Cool Box came from the founders’ personal experiences working in the field and hauling tools from job to job. While they developed the original concept themselves, D’Agostini and Engelo did extensive research to identify needed features by talking with a host of professionals both in their field and in related fields. Look within for opportunities and inspiration. D’Agostini and Engelo had been working as makers in the DIY industry for years when they realized it was prime for a product such as the Coolest Cooler. Leverage crowds to develop proof of concept. As DIYers, D’Agostini and Engelo had the resources and capabilities to develop a prototype for the Cool Box. Such a complicated product with so many features, however, is a challenge to launch and scale, since developing a production-ready prototype can be incredibly costly and risky. Set the right expectations before you measure success. Since the launch, the creators of the Cool Box have been approached by many aspiring entrepreneurs who want to discuss their crowdfunding success. D’Agostini and Engelo, however, want others not to focus on the immense success of the crowdfunding campaign but rather all of the work and preparation that went into making the product and the crowdfunding campaign a success. “Many times, entrepreneurship feels as if you are working incredibly hard but not getting anywhere,” D’Agostini says. “We put thousands of hours into this business before launched the campaign, not knowing if we would ever make a dime. That was the expectation we had going in, so it made the effort manageable. Tags: Christopher Engelo, Coolest Cooler, entrepreneur, Kickstarter, Mike D'Agostini, Peter Gasca. Bookmark the permalink.